I'm still knitting the neck warmer hat. I'll probably finish it this weekend since I'm working night shift tonight and tomorrow night at the hospital. Knitting is going to be put on a hold until then. I'm almost ready to knit the eyelet row, and then I just need to knit 1-2 more inches and bind off. It's a VERY easy project, but it's also boring, which is good for car trips to Pennsylvania and back home to Maryland. I'm not reading anything this week because I have to make sure my CEUs to renew my nursing license for Pennsylvania are all finished. I think I have 5-6 more credits, but I need to focus on that before the end of the month. 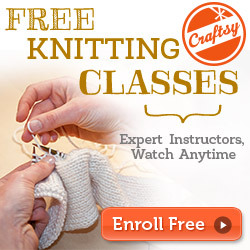 What's on your needles this week? What are you reading? 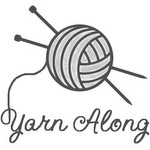 Join us at Ginny's Yarn Along. 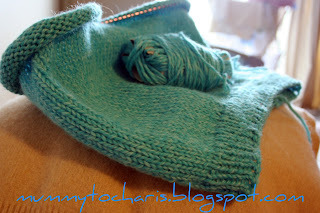 beautiful yarn colour! can't wait to see what it looks like when done!